We've added sweet tart New England cranberriers to this blend of peanuts, almonds, pistachios, Brazil nuts, cashews and pecans. 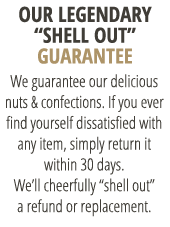 Lightly salted to enhance the nutty flavor. In 10 oz. vacuum-packed tin to maintain freshness. 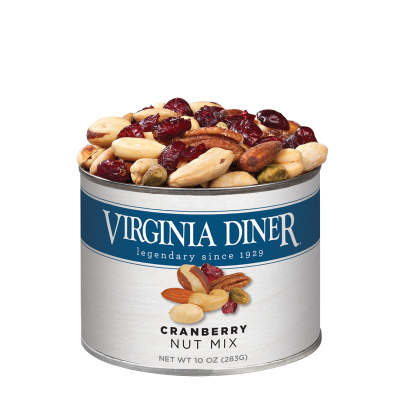 I LOVE the cranberry nut mix & really miss it when I run out! Pleased with products. Would recommend. One of small cans in last order was bent in shipping. Box not sturdy. Ordered 3 and 4 can sets. All delivered in time for Christmas and heard from everyone that the choices were great.